Are you a hairdresser, nail tech, or esthetician and you struggle with what to post on Instagram? 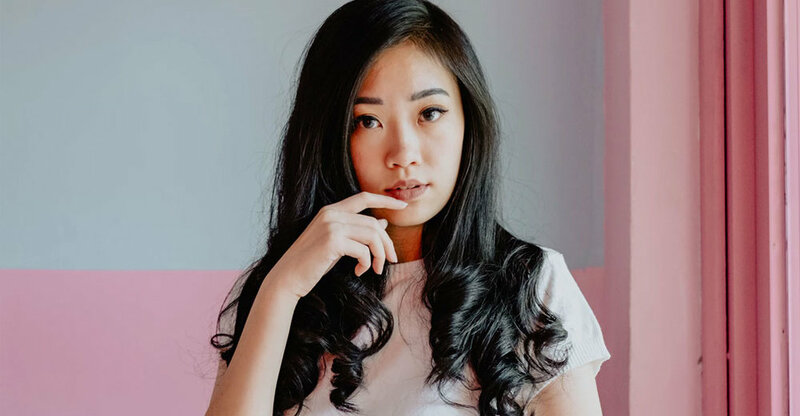 Are you looking for ideas of what to share on your salon’s Instagram and you want to start with gorgeous photos? I want to help and inspire you with this blog post. Let's start with the basics: Beautiful photos are essential for building an Instagram following. And you’ll also grow your brand presence as people come to recognize your photo style. Long story short, you need beautiful photos for your salon. The best part is, you absolutely don't need to be professional photographer, and you definitely don't have to spend hours each day taking photos. 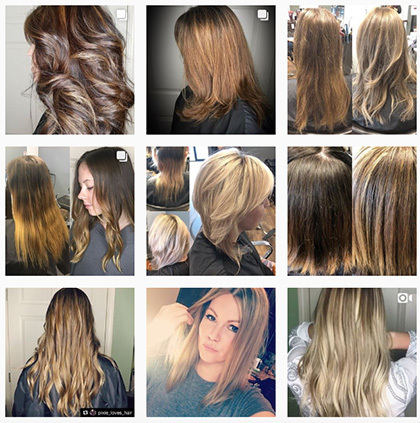 Here are 8 ideas you can start using today for beautiful photos to share on your salon’s Instagram, so you can build a gorgeous feed and find more clients on social media. 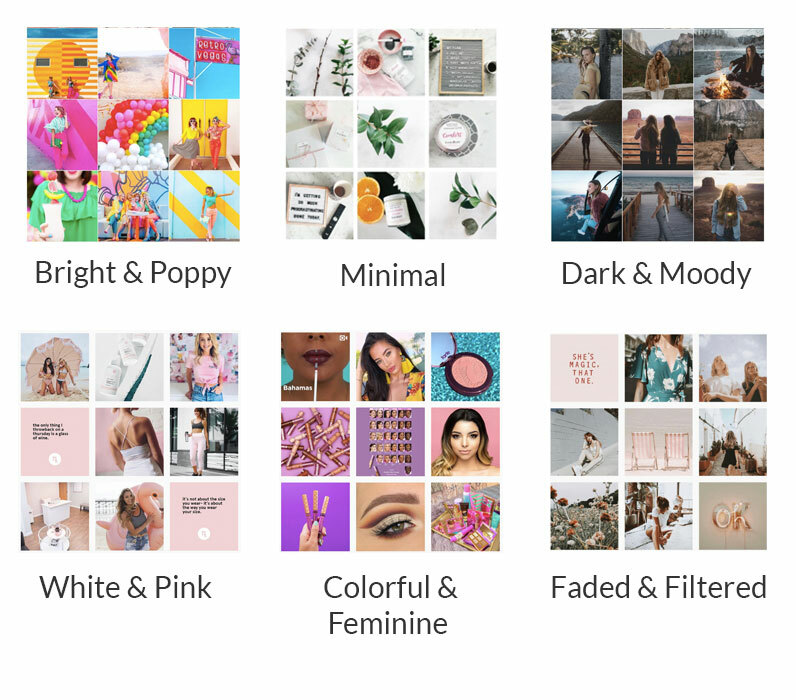 Before you can start building up a beautiful Instagram feed, you need to understand what your “theme” or aesthetic is. Your photos should not just be random. They should all have a similar vibe that when put together gives a unique and professional look to your account. You should decide your theme based on your personal preference for photo style, but also your business brand. Do you want to use filters? Which ones? What kind of "vibe" do you want your overall feed to have? It's important to think about these things first, so you can build the perfect feed for your business. 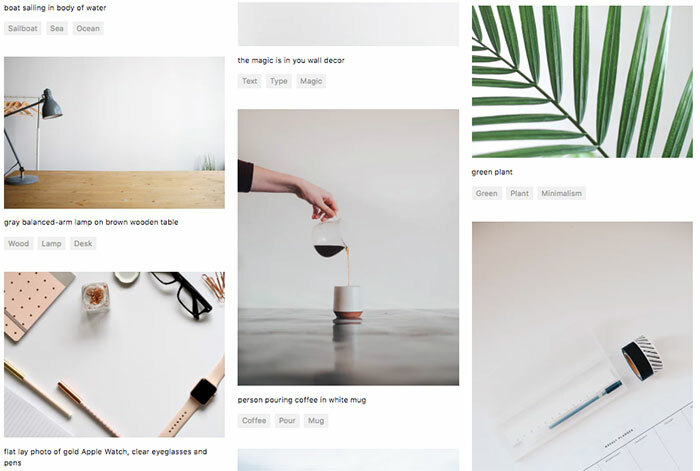 If you want to dive deep into this, check out my blog post about how to create an Instagram theme for your salon. When you collaborate with a photographer, you can get lots of pretty photos and use them throughout the months to come. If you can work together with a photographer and a local model/ or Instagram influencer, your shots will look even more professional, plus they will get even more reach when they’re shared by the photographer and model/influencers. Yes, you will have to pay for this but it can be SUCH a good investment. You can use the photos on your website, in your emails, and in your Facebook ads. They're not just your Instagram! My advice for finding a good photographer in your area? Start your search on Instagram itself! You can search for photographer hashtags with your city or area name (for example #vaphotographer or #raleighphotographer) and find someone whose vibe and pics you absolutely love. Get a good mix of photos of your location, salon decor details, team members, clients, neighbourhood and more. Make sure there is lots of variety! Space out the photos on your feed. Don’t post them all at once, but trickle them out so you can keep using them for months after the photoshoot. A tip that I’ve learned from experience: if you’re getting photos done of you and your team, bring different outfits so that the photos don’t all look like they were all taken the same day! User-generated content is the best content! It help your clients to connect with your business on a deeper level - they’re no longer just paying customers, they’re advocates who are spreading the word! It helps to expand your reach by sharing your brand with new potential clients: your clients' friends and followers. Finally, you can re-gram client photos to promote your salon on Instagram in an authentic way. Just make sure to ask permission to re-use the photos before you post - a quick comment or private message usually does the trick! Does your salon use or sell beauty products? My guess is that you probably do! If so, photos directly from the beauty brands are a perfect way to get professional pictures while also promoting product sales. Once we started using the official Aveda product photos in their feed, combined with higher-quality, brighter photos, look at what a difference it made! See how the product photos are always spaced out so there is a visually-pleasing distribution? Such a nice change! Your Instagram feed is like a piece of artwork, and each post builds your story. What’s a quick, easy to make your photos look like they came from a magazine? Focus on the details! Zoom in on textures of hair, different colours, details in your salon (like a vase of flowers), close-ups of products, etc. Sometimes, you just can’t find that perfect picture on your phone, and you really want something beautiful and simple to break up the photos of your clients. There are two amazing websites that will help in a HUGE way. Another great site is Twenty20. My advice? Don’t completely rely on stock photo websites. Use them to supplement your own original photos when you need a spark of something different. There are millions of gorgeous photos being posted every day on Instagram... why not use some of them? If they fit your theme, your vibe, and are relevant to what you do, go ahead! But first, make sure that any user-generated content that you share, you get permission to use and you credit the photographer by tagging them and putting a link to their profile in the description of your photo. You can read more about how to get permission to use other people’s Instagram photos here. So, how can you find beautiful photos on Instagram? The most beautiful Instagram feeds have tons of variety. They don’t just post client photo after client photo. They mix up their feeds with a combination of all the categories we’ve gone through today, and they keep them interesting. I know the easiest thing to do is usually just take tons of pictures of client hair or nails or makeup and then post them all. Try doing the same thing with your Instagram feed! Bonus extra tip #1: If you have photos that don’t fit into your theme, or aren’t very high quality, put them in your Instagram stories! To develop a killer Instagram aesthetic, you need to be very picky about what photos you post on your feed. They should be high quality, bright, and represent your theme/style. Of course, not all your pictures will be up to the task. But that doesn’t mean you have to trash them! Any photos that don’t look great in your feed, share them in your Instagram stories instead! Your followers will love getting fresh updates, and you get to keep your “perfect” aesthetic! Bonus extra tip #2: Plan your feed out in advance with Later.com so your photos mesh well together. If you’re always posting photos on the fly, you won’t be able to build a photo story that meshes well together. Later is an app that saves you time by scheduling your photos, but it also has an amazing feature that lets you swap around photos until your feed looks just right. Check out my list of other salon marketing apps you will love here. Expert tip #3: Your photos are important, invest in them! "I absolutely believe that investing in a quality photographer is helpful to elevate your brand and social media feed. If you don't have the money to invest, try bartering with a local photographer. Great photos in exchange for your beauty services. A good client of mine is a wonderful photographer and we trade services all the time. Also, lighting is so essential for great photos. Invest in a ring light and have a small "selfie' station in your salon to capture awesome shots"
Taking beautiful photos is SUCH an important part of growing your Instagram followers, your engagement and ultimately your client list. When you can showcase your work in the best light, express your brand values, and build a theme, you are doing Instagram right! 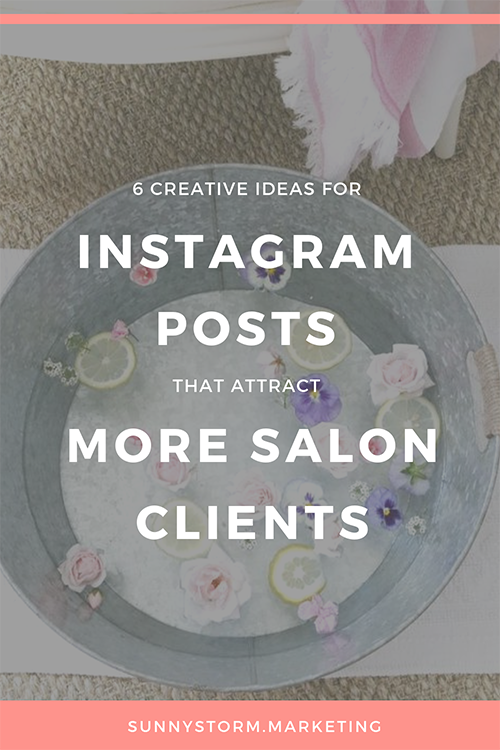 I hope that these salon Instagram ideas will inspire you to shine bright on social media and start building your beauty empire! One last thing: Be sure to download my "Instagram for Salons" eBook where you'll get tons more ideas of what to post on your feed, inspired by the top salons in the world!